It seems that Fortnite will be exclusive to the Samsung Galaxy Note 9 for 30 days and then will be available exclusively for select Samsung Galaxy S device for an additional 90 days. It is safe to say that Fortnite is one of the most popular battle royale games available today. The game is however yet to release on Android. 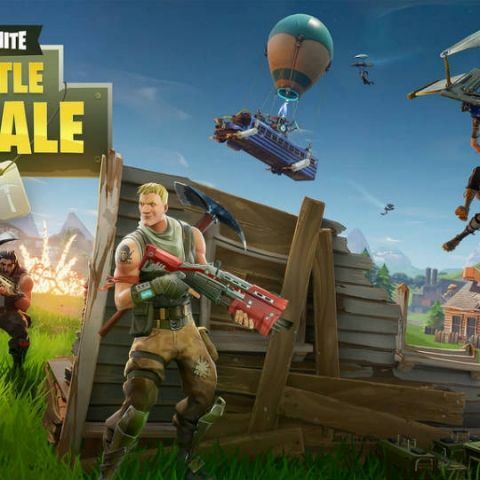 Information circulating the internet suggests that Fortnite will be a Samsung Galaxy Note 9 exclusive for 30 days. After the period of 30 days, the game will be a Samsung exclusive, being available on select S series devices for an additional 60-90 days. This means that the game will be exclusive to Samsung’s platform for a period of 4 months. At launch Fortnite will not be available via the Google Play Store. Users will have to enable app installs from unknown sources and install the game directly from Epic. This means that if you wanted to play the game, it won’t be as easy as downloading the APK and installing it on your smartphone. Timed exclusives aren’t a new thing in the world of gaming. Rise of the Tomb Raider was an Xbox One exclusive for nearly a year before it made its way to Sony’s PlayStation 4. Coming back to Samsung, the Note 9 is expected to make its debut on August 9 at an event in New York. When it comes to the specifications, so far, we know that the phone is expected to feature a 6.3-inch QHD+ Super AMOLED display and it could to be powered by Qualcomm's Snapdragon 845 chipset in the US. In countries other than US, Samsung is expected to put an Exynos 9810 chipset in the smartphone. It is expected to feature a dual-rear camera setup with two 12MP sensors. At the front, the device could offer an 8MP camera. The fingerprint sensor is on the back which is said to be placed below the camera module. The S-Pen stylus is tipped to offer Bluetooth connectivity to control music and group photos. A recent leaked poster also unveiled the price of the phone. The Galaxy Note 9 was spotted in a hands-on video. You can check out the details of the video here.